For many Asians around the world, the Lunar New Year is a time for family reunions, scrumptious feasts, and spiritual enlightenment. It is also the only time of the year when our favorite TVB artists get to go home and rest. 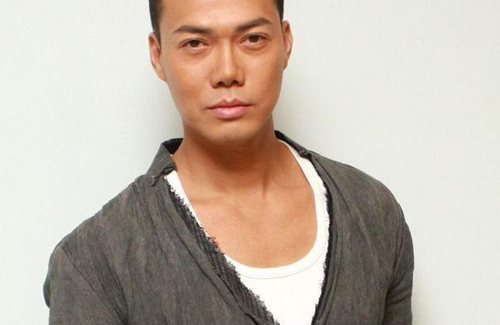 TVB actor Michael Tse (謝天華) has to work 12 months a year and 7 days a week. Barely reaching a minimum of three hours of sleep per day, Michael is always busy, and always tired, but he is grateful. With the upcoming Lunar New Year, Michael will always take some time off of his busy schedule to go shopping in the flower market. Michael also explained that he will try to cook a New Year’s dish for his family every year, but because New Year’s dishes are tough, he ends up leaving his family in charge for the feast preparations. Joking aside, Michael explained that he will continue to pursue his career in both television and film. For the next two months, Michael will be filming his new drama, Sniper Attack 2013 <神槍狙擊2013>. At the same time, Michael will also be promoting for his Lunar New Year film, I Love Hong Kong 2013 <2013我愛HK 恭喜發財>. Michael shopping in the flower market is a funny picture. I would love to serve him! seriously – they think Ray is chok, look at this picture. He is still one of the nicest Txb artists I’ve met. Despite the cool look, he is friendly and nice, even to strangers who are not his fans, and of course, he dun act “star”. I can understand why he is getting famous in recent time. Wish him all the best in the new year. I still remember how funny he and Rain Lau were in Dragon Love… So hilarious! !